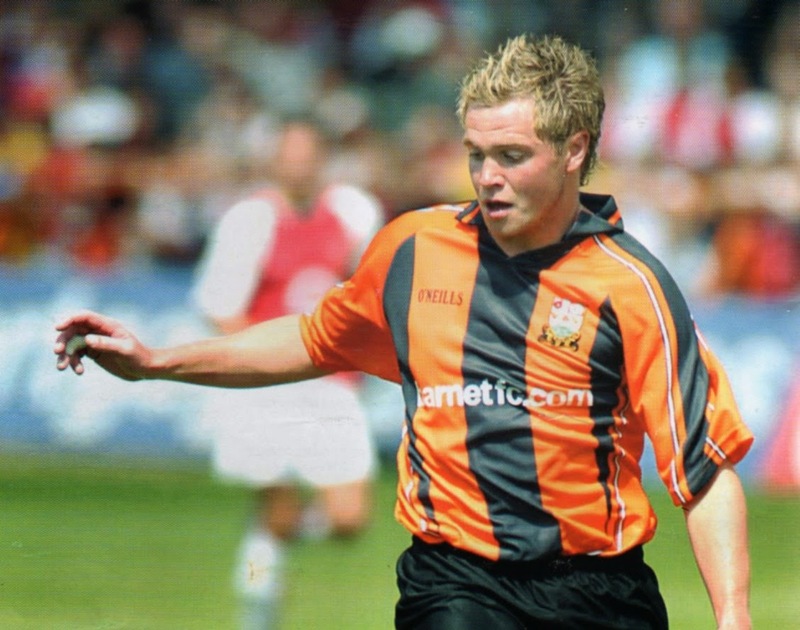 The promotion season of 2005 was won not only for the quality of a midfield containing Bailey, Lee, Sinclair, Graham and Strevens or the scoring record of Grazioli but also from a secure back line containing the calm and coolness of Simon King. Simon Daniel Roy King was born in Oxford in April 1983. “I started at Whitney Vikings FC before being spotted by Oxford United scouts”. While with Oxford United he made 4 first team appearances. “Martin Allen watched me in a couple of reserve games and I jumped at the chance to move to London and Barnet” he recalled. 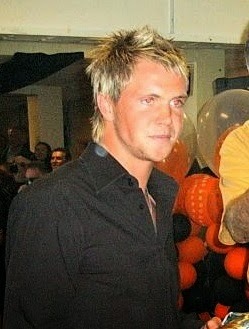 Martin officially introduced Simon to Barnet FC at the Supporters AGM in July 2003 and had signed him on a free transfer. 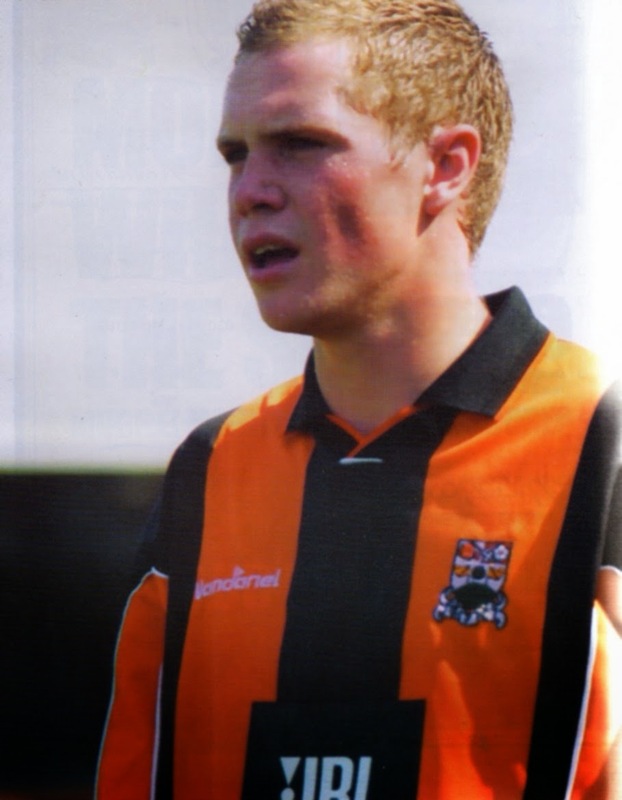 “It was a huge step up for me, I was just a kid really, out of my comfort zone for a while, but it was exciting arriving at Underhill sitting next to Ian Hendon at the meeting who was great. I soon got really close to Strevs and Graz and we are still close friends today” says Simon. Danny Naisbitt, Ian Hendon, Simon King, Danny Maddix, Chris Plummer, Guy Lopez, Mark Rooney, Tony Taggart, Joe Gamble, Ben Strevens, Giuliano Grazioli. Subs: Lee Pluck, Lee Roache, Soloman Henry, Lewis Hogg and Mark Williams. In the 3-1 win over Halifax Town at Underhill, that game that saw the club win the Conference Trophy, King fittingly scored one of the goals, putting the icing on the cake of a fine season personally. “ I was on the same score sheet with my mates Strevs and Graz that was very special”. He would have won Player of the Season had it not been for Grazioli's goal scoring feats but he was to collect that award two years later. Simon had made 42 appearances scoring 4 times. “I didn't score many but my all time favourite was in the 2-1 win against Plymouth at Underhill in the League Cup”. I ventured that the fans all time favourite was the last minute screamer scored at the Aldershot Recreation Ground in the 3-2 win November 2004! Paul Fairclough selected him for England National C team and he won three caps for this country scoring the winning goal on his debut against Italy. “That was a real honour to play in an England shirt and the trip to Italy was a fantastic experience, the facilities and the way we were treated was unbelievable”. King continued to impress the following year in the Football League including playing in the side that lost at Old Trafford to Manchester United in the Carling Cup. “What an experience that was, so exciting”. He made another 37 appearances, scoring once. In 2006-7 he made 48 further appearances with two goals. Lee Harrison, Ian Hendon, Simon King, Joe Devera, Adam Gross, Dean Sinclair, Nicky Bailey, Jason Puncheon, Barry Cogan, Adam Birchall, Oliver Allen. Subs: Ross Flitney, Liam Hatch, Nicky Nicolau, Giuliano Grazioli, Magno Viera. King was hot property and happy with life at Underhill but the club, to cut their losses, allegedly transferred listed in him May to avoid a free transfer the following season. Good business? Well the facts are that Gillingham came in with a £200,00, 3 years deal offer and Simon was gone! 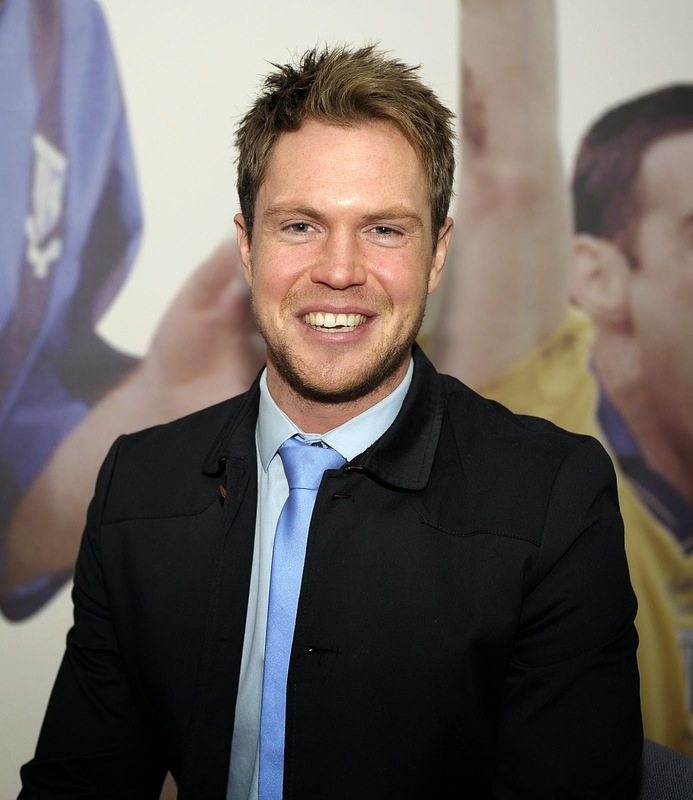 The same commitment and flair was soon being witnessed and appreciated by Gills fans where Simon made 112 appearances in all winning a Wembley Play-off medal in 2008/9 whilst being voted Player of the Season. The 1-0 win over Shrewsbury, must have been very gratifying and coincidently was made alongside five other future Bees – Albert Jarrett, Josh Wright, Barry Fuller, Stewart Lewis and Curtis Weston. A further honour followed with a place in the PFA Football League 2 team of the season. Unfortunately Simon missed the next 18 months of football due to a serious ankle injury which was to plague the rest of his professional career. “I don't know how I got through that period but it is then you realise the value of your family and friends to spur you on to get through the bad times”. In August 2011 Simon was loaned to Plymouth Argyle before being released by Gillingham in May 2012. In July 2012 after a pre season training stint with Barnet he briefly joined Inverness Caledonian Thistle and made 5 appearances in the SPL for Manager Terry Butcher. “A beautiful place to live and work, I loved it in Scotland but I injured my other ankle and started to struggle at what was very high level”. Sadly at still only 29 Simon had to retire from Professional Football shortly afterwards. Taking a break for a year in August 2013 he was approached by Mark Stimson and joined Thurrock FC in the Isthmian League. “I lost the weight I had put on fairly quickly picked up a training routine again and I can tell you the ankles are holding up OK though a bit sore on a Sunday” he laughed. “I train hard two days a week while trying to develop a career in Personal Training”. Simon is currently living just outside Brentwood in Essex. Simon was blessed with boyish good looks, was always extremely well groomed and was a regular after game presence in the social club at Underhill comfortably mingling with fans. Talking to him now he still retains that effervescence and freshness and has promised to visit us at the Hive soon. You will be made very very welcome young man.